The Indo-Asian-Pacific region continues to be dynamic and complex, and U.S. Army Pacific remains as focused and engaged as ever before. For over 118 years, the U.S. Army has maintained a presence in the Pacific region, earning more campaign streamers than anywhere else in the world except the Americas. Today, in support of the Pacific rebalance and in furthering U.S. Pacific Command strategic objectives, we regularly project forces from our home stations to west of the international date line, where we partner with our friends and allies to deter, reassure and engage the countries of this region. Cambodian soldiers work with Spc. 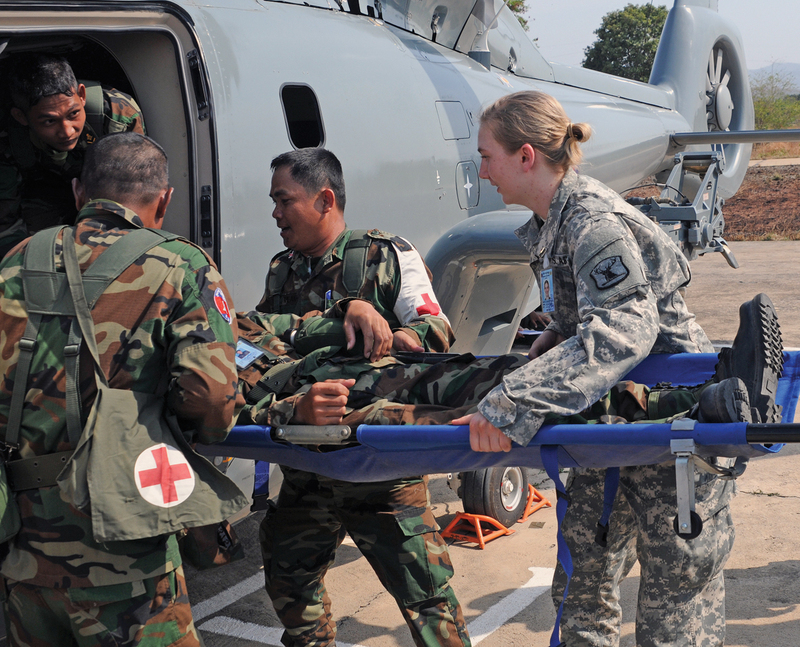 Miykala Fritz, a member of the Idaho Army National Guard, during medevac training in Cambodia. The 106,000 personnel of U.S. Army Pacific (USAR-PAC) operate in an area that spans 9,000 miles and 16 time zones. Encompassing some of the world’s most complex terrains, this region also claims more than 80 percent of lives lost due to natural disasters. Home to the world’s three largest economies and seven of the eight fastest-growing economies of the world, over $5.3 trillion in annual global trade transits through this region. The Strait of Malacca alone sees over 25 percent of global oil and 50 percent of all natural gas shipments. With seven of the world’s 10 largest armies, this region is not only complex, it can be volatile and unpredictable. On average, there are over 5,000 USARPAC soldiers engaging and operating in more than 10 of the 36 nations in the theater and on global missions throughout the world. Along with our joint teammates, they provide stability and security as they operate in tailored, task-organized teams alongside our partners and allies. Together, we are building trust and increasing interoperability and readiness in new and creative ways. 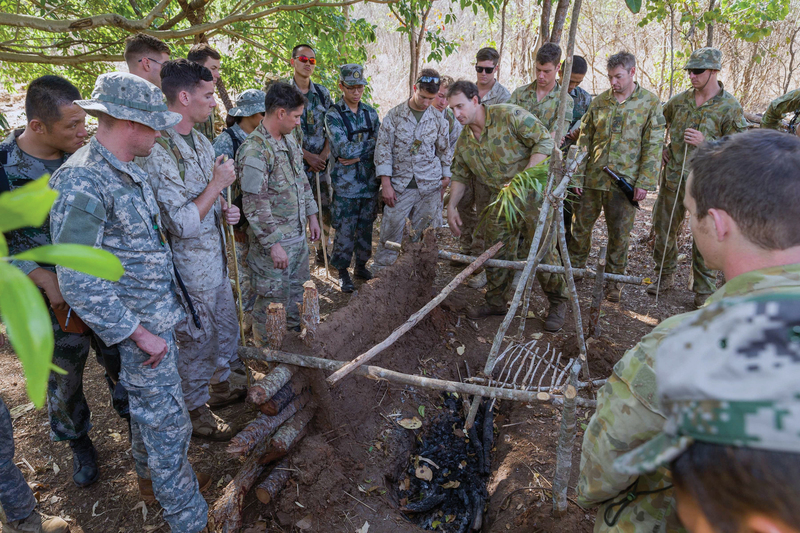 Soldiers from the U.S., Australia and China, along with U.S. Marines, learn how to build a camp kitchen in Australia. 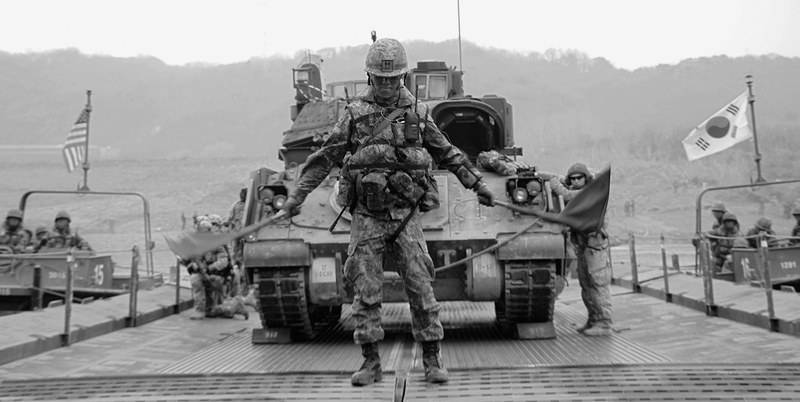 When joined with existing full combined arms maneuver capabilities under Eighth Army on the Korean Peninsula, the forward-positioned ground-based air and missile defenses on continuous alert, and the continuously committed theater-enabling commands of the Pacific, the Army presence remains robust. This provides a wide array of options to the commander of the U.S. Pacific Command for any contingencies. With these capabilities, the leaders, soldiers and civilians in USARPAC capitalize on the complexity of area of operation and leverage joint and combined opportunities, making this theater the Army’s largest “battle lab” of innovation. Creativity and experimentation are embraced. During this year’s LANPAC Symposium, Navy Adm. Harry B. Harris Jr., commander of the U.S. Pacific Command, described a future where domains converge. He articulated a growing need for the U.S. Army to project its combat power from the land into the sea. He challenged the Army, while maintaining our dominance in the land domain, to also influence the sea domain using cross-domain fires—deny sea access using land-based systems. USARPAC welcomes this challenge, and we are well-equipped and organized to incorporate this emerging capability into all the other innovation and experimentation that we are conducting in our Pacific battle lab. Pacific Pathways, now in its fourth year, continues to serve as the primary venue for innovation and experimentation while building readiness across multiple echelons. Using the Army Operating Concept as the foundational lens, we are tackling the Army’s 20 Warfighting Challenges and invited subject-matter experts from all of the centers of excellence to observe, evaluate and capture valuable lessons for the Army. Beyond serving as an important investment for the development of our future forces, Pacific Pathways also provides immediate benefits to the stability and security of the region. With an increase in land forces on extended presence west of the international date line, Pacific Pathways forces provide additional options for the combatant commander during contingency operations. In addition, participation in these regional exercises allows us to strengthen relationships and increase readiness. USARPAC is inherently a multicomponent command and draws great strength from the Army Reserve forces and aligned Army National Guard commands of the Pacific. Leveraging the extensive capabilities resident in the reserve components is another key aspect of how we operate. Moreover, we continue to benefit from establishing the U.S. Army’s first Army Reserve Engagement Cell in 2013. 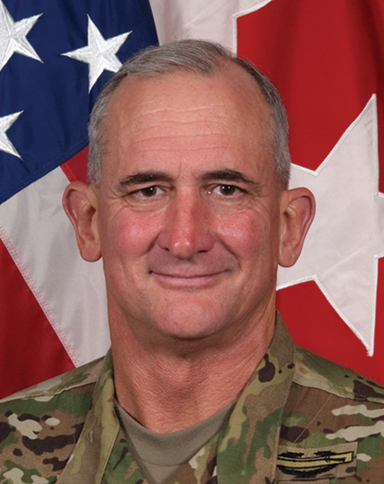 This cell provides greater access to units of the U.S. Army Reserve Command that further apply their unique capabilities to enhance and broaden our total force reach in the region. This is a complex region, and we face many traditional security dilemmas. Increasingly, though, we also face unconventional threats that transcend national borders. From the spread of violent extremist ideology to destructive effects of climate change on vulnerable populations, these are threats we face together with our partners and allies that require a collaborative solution and a unified response that has historically been delivered by land force teams—people engaging other people. We do not operate simply in the land domain. We operate in the human domain. In a region that contains more than 50 percent of the world’s population, our people have always been central to our success. As we continue to expand bilateral events to multilateral events, we continuously invest in the development of our soldiers to better understand social, cultural, political and physical influences affecting human behavior. Through our many engagements and exercises, we develop adaptive leaders who thrive in ambiguity and chaos. We optimize individual and team performances and build cohesive teams of trusted partners from all backgrounds, professions and countries. In doing so, we export our professionalism and remain this region’s pre-eminent security partner of choice. While the Indo-Asian-Pacific region has always been complex and unpredictable, with careful and persistent efforts the region has also experienced about 70 years of relative stability, growth and prosperity. While the region has not always been peaceful, we have always recognized its importance not only to the U.S., but to the international community. We have persistently engaged and, at times, fought to preserve that security. The trend has always been upward and remains upward even during these times of uncertainty. Sgt. 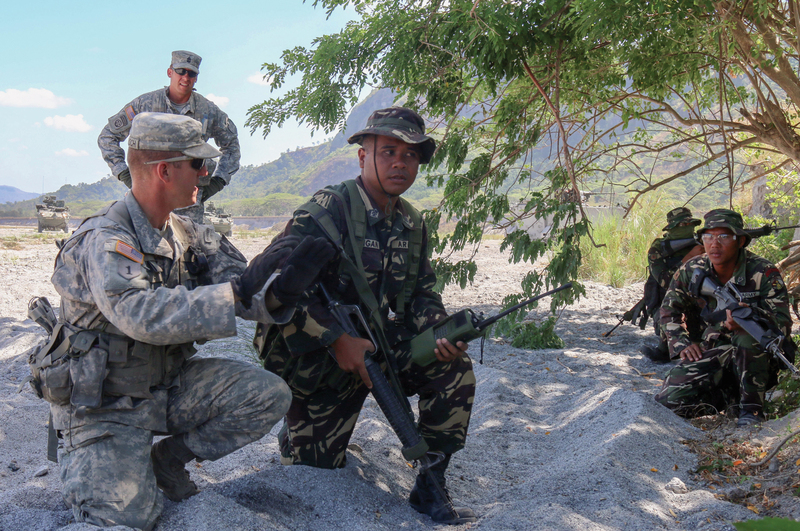 1st Class Brandon Knobloch of the 3rd Infantry Regiment confers with a Filipino soldier during a Pacific Pathways exercise in the Philippines. Sgt. 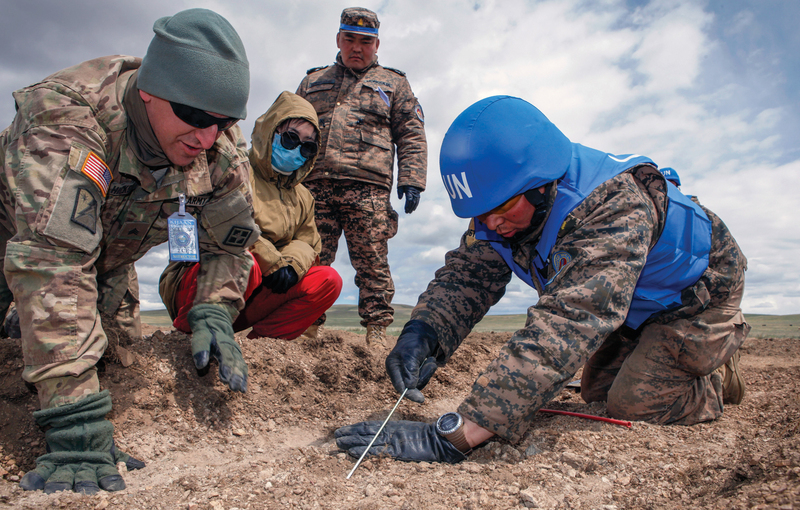 Andy Hicks coaches a Mongolian soldier during minefield extraction training in Mongolia. Challenges will continue in this region: the nuclear and missile tests in North Korea, and the provocations and escalations that followed; the uncertainty that is introduced by land reclamation and expansionism in the South China Sea; the rising tide of violent extremist ideologies; the effects of climate change and natural disasters that are becoming more and more devastating. A Republic of Korea soldier guides U.S. and South Korean boats in a raft and bridging exercise on the Imjin River. These are all part of the Indo-Asian-Pacific region that remains dynamic and is undergoing rapid change. It’s a region where we maintain an array of relationships that require constant tending and attention. When we succeed, the relationships will endure the challenges and even become strengthened. Further, the relationships will prevent misunderstanding and miscalculation that would undermine the peace and prosperity we all seek here. USARPAC remains committed and ready, as we always have, to stand with our partners and allies to ensure stability and security in this region.